We we're fortunate enough to be one of twenty indie devs asked by Mojang to show off our game at Minecon this year in Orlando. While the show is primarily about Minecraft, having an "other" indie games section was great, as it featured upcoming games such as Hyper Light Drifter, Scale, Shovel Knight, all part of the "Minecon Indies". Running for just Saturday and Sunday, we were in the Exhibition hall most of the time, though I also was on a panel called "Life as an Indie Developer" which had a good turn-out. 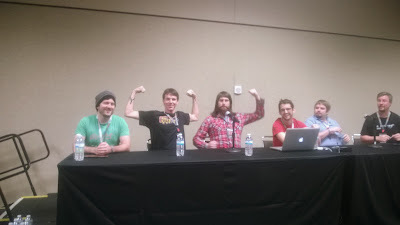 There were five developers on the panel, including myself, Pete Angstadt (making Cannon Brawl), Evan Greenwood (making Broforce), Richard Perrin (making Journal), and Mo (making A.N.N.E. ), and it was moderated by AJ Johnson (from gaming site 8 Bit Horse). The panel focused on how there's more to just "designing your game all day" when you have to sustain yourself financially, handling such things as marketing, emails, scheduling, taxes, and more. I think all the devs afterward handled plenty of "My child wants to be a game designer, what do you think?" from parents approaching us. Evan, of Broforce, and I showing our guns before everyone came in. The show, while small at 7,500 people was handled really well, at least from what I experienced. As an exhibitor, our normal costs for a convention includes booth space, equipment rental, and hotel and travel fare. 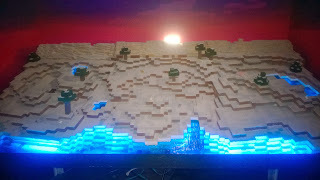 Most of that was graciously covered by Mojang which was pretty great. 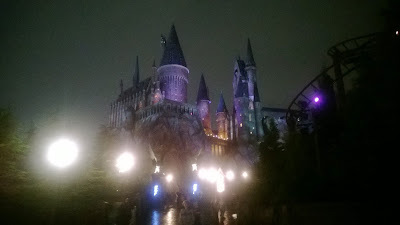 Additionally, after the first day ended, everyone that attended the show (gamers and exhibitors) were allowed to go Universal Islands of Adventure (which was closed that night to anyone except Minecon people). The Harry Potter area was excellent, though I hear it's packed on a regular day. Boxy, furry horses. Of course. 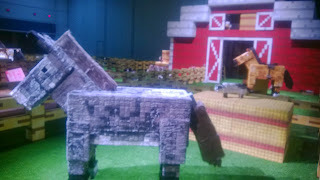 There were also plenty of ancillary Minecraft booths such as special Lego toys, expansion/mod centered booths, papercraft, a diarama booth (featuring physical recreations of Minecraft screens) and lots of talks and panels from Minecraft personalities. I was surprised by the fanaticism surrounding some of the Youtube personalities and Notch himself. I saw and heard kids running and screaming through the halls several of the few times I was out of the hall. One of the screenshot-diorama's being setup. After the second day there was also a swanky party held in downtown Orlando for VIPs only. All the indie dev exhibitors were invited and most went (I went back to my friend's house who lives in town there, and we played Dragon's Crown instead--hey, I don't get to see him often!) It was really nice there was a special party just for exhibitors. There were even shuttles from the convention center to the party. The only odd part was the shuttles only ran early to take you, and late to bring you back (meaning you had to stay several hours if you stuck with the shuttles). Still pretty cool to end with a big party! 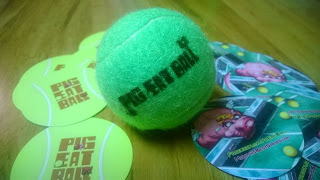 The game cards we gave to everyone, and one of the "Barfies" we only gave to those that played the demo. We pointed people to the banner occasionally for more screens and info. Mojang provided the Alienware computers which ran our games. Each dev's area was one of four tables forming a big diamond shape. To your left and right was another game developer at a right angle. Fortunately, the noise level was very manageable. 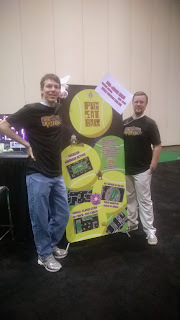 We brought headphones just in case, but speakers running the sound was enough (our game is puzzlish action game, not specifically about sound, as opposed to SoundSelf, which was there, and did use headphones). Anyone that played the game got a branded "Barfie" ball which drew in a lot of people. We were able to put our banner in between our table and the one to the right. To our left, was the stand-up banner for Sportsfriends. With everyone facing outwards, I felt like we had enough room, but I wasn't on the inside of the booth area, which was more crowded. There were five of these groups of four games each. 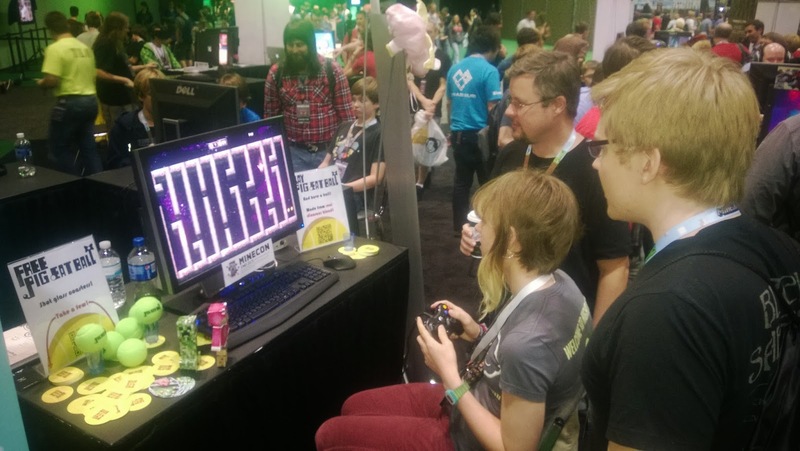 Having been to bigger shows like PAX, it was different because your "booth" was just a computer at a table. It was a little tough if you wanted to run a merchandise table with shirts, or wanted a bigger screen display. Still, with all games equal, and with decent sized monitors, I think it was easy for the games to shine and bring people in. The only real "trick" here, was that those developers that showed up first, got to pick where they wanted to set up. I ended up showing up very late on the setup day, and thus missed the chance to pick the "primo" end spot, that was facing the high traffic, main aisle. Doing it over, I would have gotten there sooner if I'd have known we could pick our spot (as opposed to it being randomly assigned). One person handling the demo, while another talks to the crowd helped a lot. We hand you a card, and let you play the first three levels that explain the unusual gameplay. As you play, we explain the pre-order and instant access for the game. When you leave (assuming you play), you get a "barfie" ball from the game. 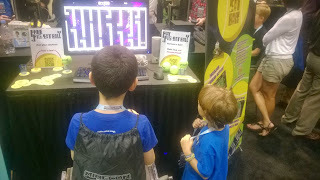 We had at least two people managing the booth most of the time, which helped as one person talked to the current player, and the other person talked to the parents or new players coming up to watch. Explaining that the game comes with a level editor letting you make your own mazes was a hit (which makes sense given the Minecraft theme). You might have one idea going into a convention, but staying nimble and open to change goes a long way. Mojang covered most of the typical expenses for the show. Booth costs, equipment rental were all handled. Because John of Media Indie Exchange was also helping, our computers were also already set up. Actual booth set up was a breeze. The show seemed well handled. There were plenty of volunteers, and things happened on time. Things were clean, and well built. I was a little worried how it was all going down (given it's a young, small show) but it was well done. Because there was a small number of people, we had plenty of traffic, but it was manageable. It wasn't too many people all just moving around, not stopping to see your cool game. There seemed like there was also lots of giveaways gamers could get at the various Minecraft booths which keeps everyone excited and happy. There was basically no press there. A few you-tubers with Minecraft focussed sites showed up, but that's all I saw. It would have been nice to let game press play our game. 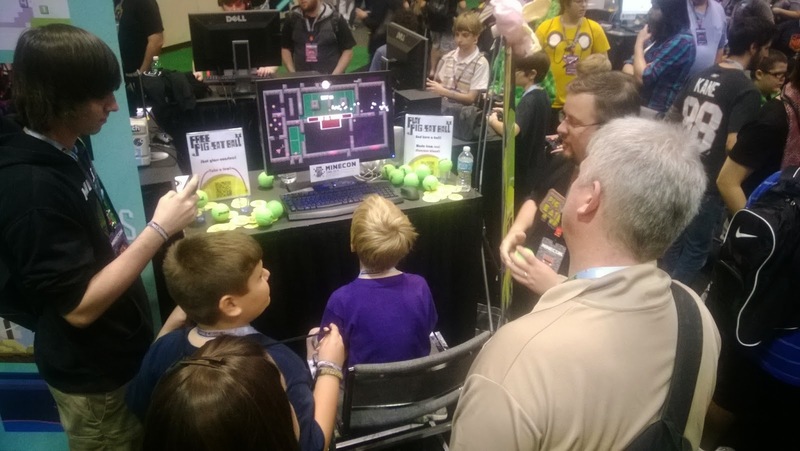 Maybe Mojang didn't want it to be swamped with press and not letting kids play? Either way, I wish they had given out a few free passes to press (maybe just a dozen?) to help multiply the impact of demoing the game early. Mojang asked that we not announce our involvement with the show until the day before the show itself. Sure it didn't actually matter about talking to press because if they didn't have a ticket they weren't going. But it would have still been nice to talk about it leading up to show more, and discuss it regarding developing the demo for the show. Part of what made the show so great was how enthused and interested everyone was. Maybe it's just that "Minecraft fans are so great", or maybe our games were all amazing (of course! 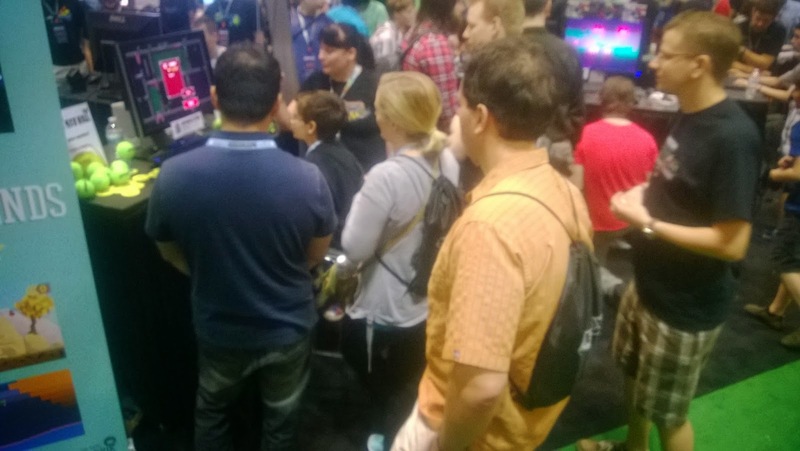 :), but either way the people were very interested, well-informed about gaming, and very polite. 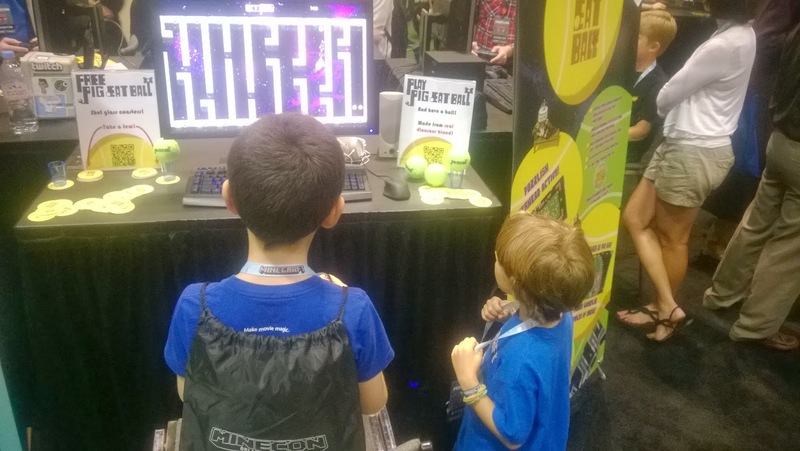 Plenty of young kids knew all about Steam, understood pre-orders, instant access, and were even curious what language we were using or wanted to talk about programming and design. All told, it was excellent show. 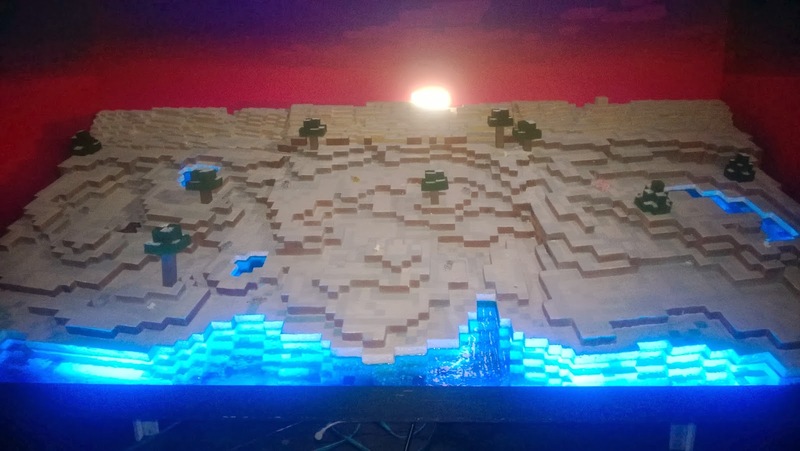 The fans there made for an easy show, and Mojang made it easy on the wallet too. I wish some big gaming press were there, but otherwise, it was well worth doing. The show apparently changes year-to-year but if it's anything like this one and you get the chance to show your game, I'd go for it.